We will design 4 pages with whatever content you would like them to have. This can be an informative page about your business, perhaps a contact page, a menu for your restaurant, maybe directions to your establishment, etc. We include 2 email addresses with this starter package at no cost. You may purchase additional blocks of email addresses if needed. 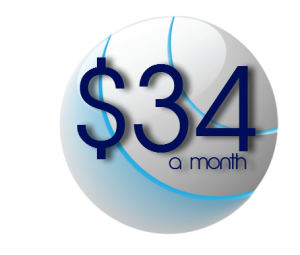 We include 1 domain name for free with this package, which is a $15 value so your first month is less than $20!